I've always been a huge boot person and this year there are countless styles I want to purchase. A well made pair of leather boots lasts years and although I would like to say a couple of pairs is enough, I can't help but want more and more. 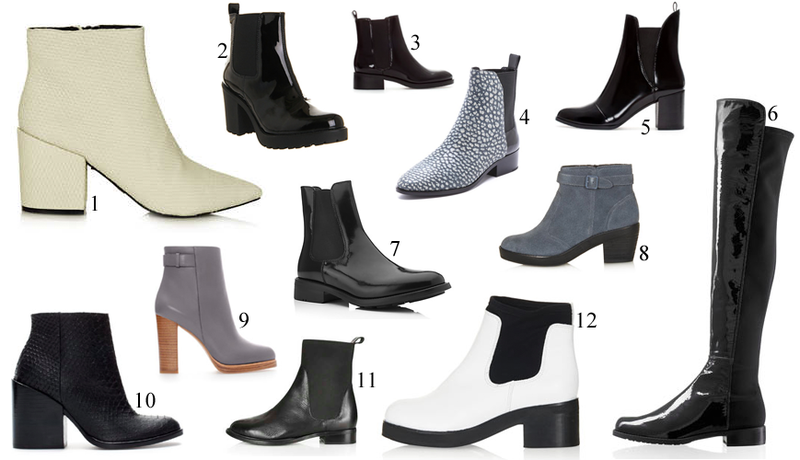 I'm loving patent high-shine chelsea boots but also the different textured variations such as the Topshop and Zara snakeskin pairs (the Lim's are half textured and half patent - ideal). I tried on the elephant grey Zara heeled boots but cannot justify the purchase as they aren't an everyday pair. But this season, I welcomed my first pair of Russell and Bromley's into my life, a pair of classic tan chelsea boots - view here.